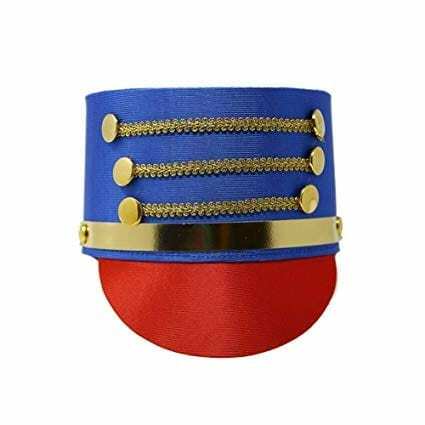 This satin hat is blue with a red bill and gold trim and gold buttons. Works great as a drum major hat or nutcracker. One size fits most.